Nationwide, more than 600 coal-fired generating units in 43 states-40 percent of the nation’s coal fleet have retired or announced plans to retire. 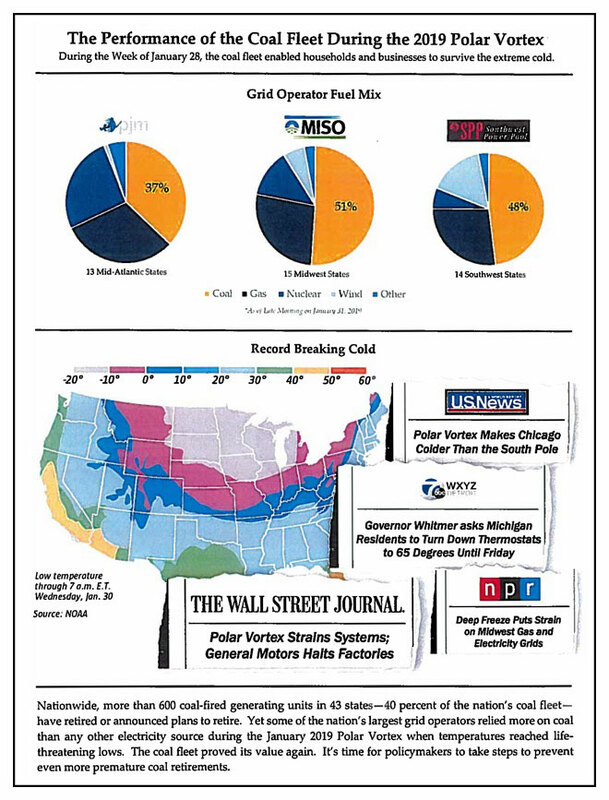 Yet some of the nation’s largest grid operators relied more on coal than any other electricity source during the January 2019 Polar Vortex when temperatures reached life-threatening lows. The coal fleet proved its value again. It’s time for policymakers to take steps to prevent even more premature coal retirements.